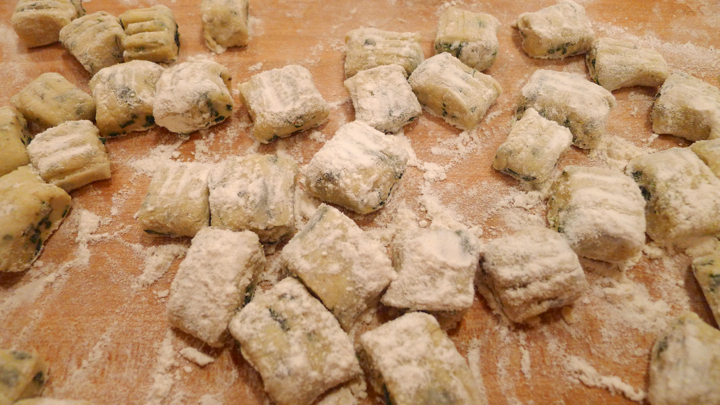 I’ve never attempted homemade gnocchi before and thought it would be a fun Wednesday night experiment for me. I had some kale, a huge sweet potato, and a bag of fresh shiitake mushrooms from my CSA bag this week, so I figured I would use those as my main ingredients. 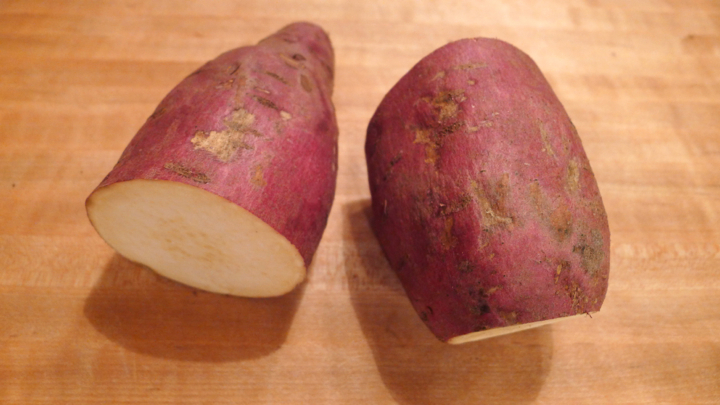 I got my first surprise then I cut into my sweet potato to realize it was white, but after some investigating it turns out sweet potatoes are technically white, and YAMS are the orange ones. So there was that. 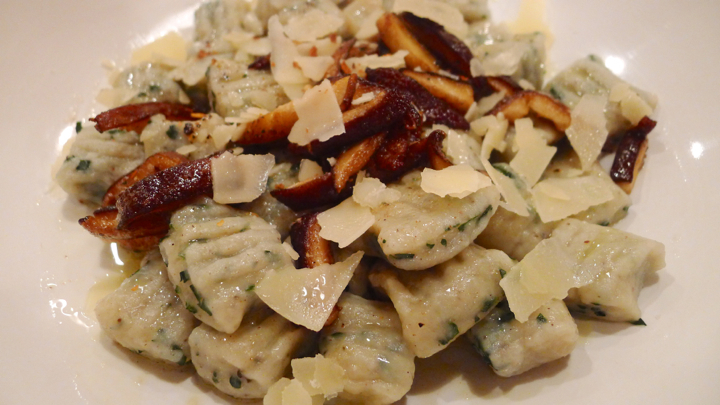 My next surprise was how easy it was to make gnocchi from scratch! The dough was very easy to make, it was rolling them out and cutting them that took a little longer, though the whole thing probably took 30 minutes. 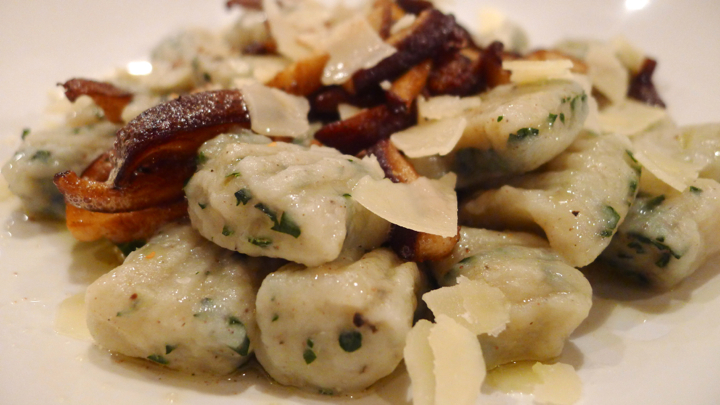 I chose to make a simple brown butter sauce as I didn’t want to take away from the actual flavor of the gnocchi. I ended up squeezing a lemon over it in the end which I think added some necessary acidity to the dish. Overall a successful pasta party for one! Get a pot of salted boiling water going and add the sweet potato. 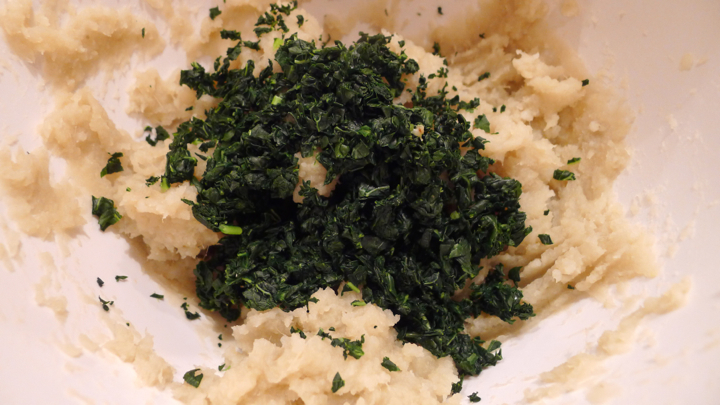 Cook until fork tender, then drain and mash in a separate bowl. 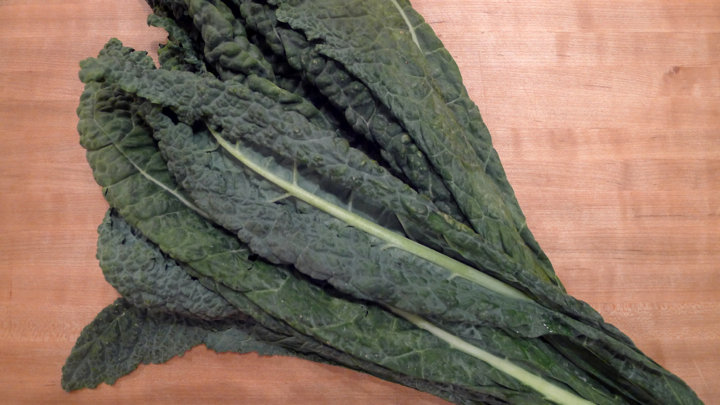 In another pot, simultaneously blanch the kale by boiling for a minute or two then rinsing under cold water to stop the cooking process. This will help keep it nice and green. 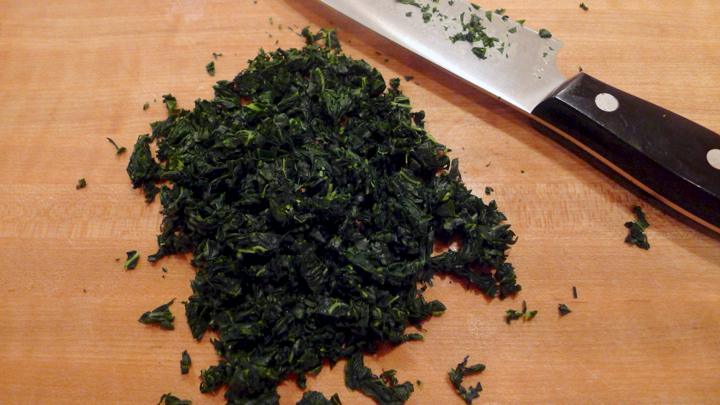 Chop the kale very well then add to the bowl with the potato. Mix in the salt, pepper, and nutmeg. 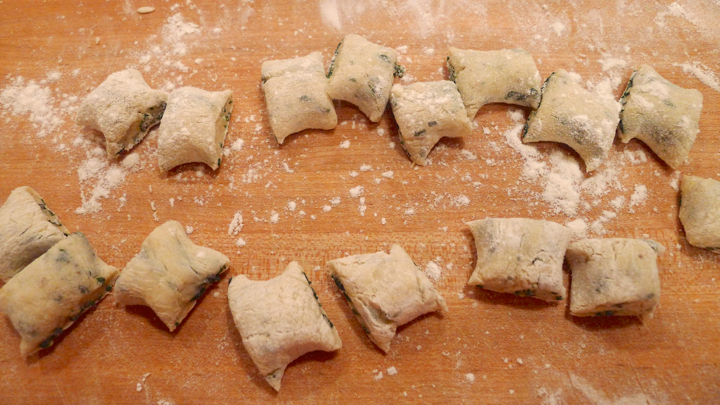 Next, add 1/2 cup at a time of flour to the mixture until you have the consistency of pasta dough. You want it to be somewhat elastic and a little sticky, but able to hold its shape. I used about 1 1/2 cups. 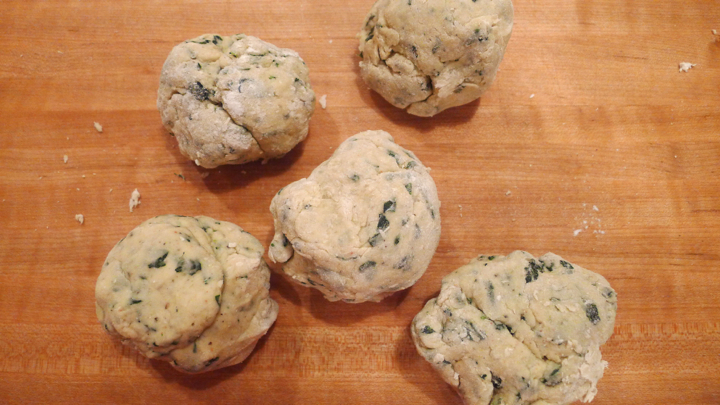 Divide the dough into 5-6 smaller balls. On a floured surface, roll each ball out with both hands until you have about a 12 inch long, 1/2 inch diameter wide log. With a floured knife, slice about 12 (1) inch pillows and press them between the backs of two forks to give them that ribbed look. In a pot of salted boiling water, add a splash of olive oil (to help with the sticking) and toss in about half of the gnocchi. They may stick to the bottom of the pot, so it helps to swirl them with a spoon in the water for the first minute. 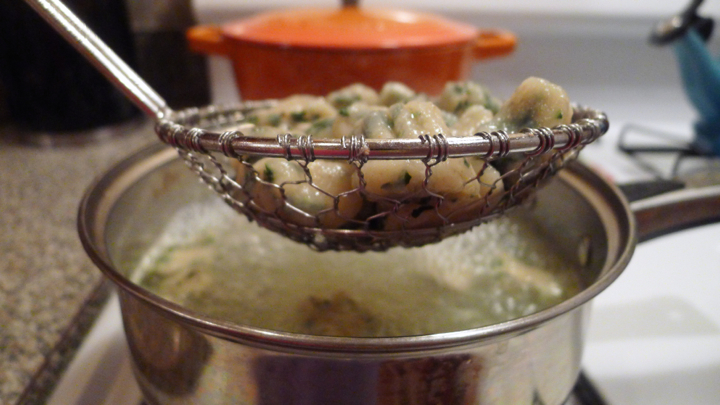 Cook the gnocchi for about 5 minutes or until they float to the top, then give them one more minute before removing with a slotted spoon. 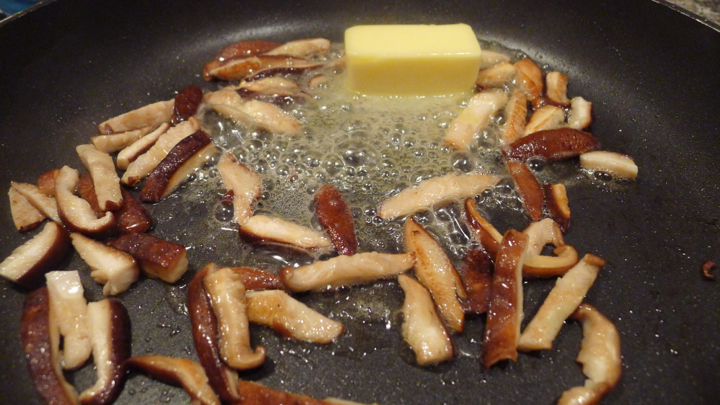 While the gnocchi is cooking, sauté the shiitake mushrooms in some olive oil. Don’t mix them around too much, as it’s nice to get them a little caramelized on the sides. Add a 1/2 stick of butter, along with the cayenne, sage, red pepper flakes, and a little pepper. 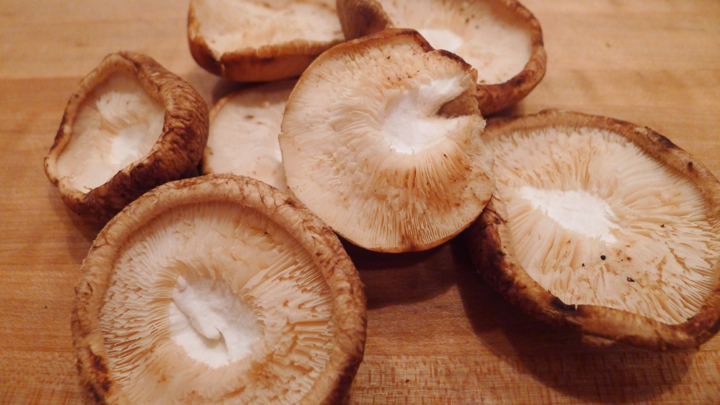 Cook until the butter has browned and has a nutty fragrance to it. Make sure not to overcook it though, it can happen fast! 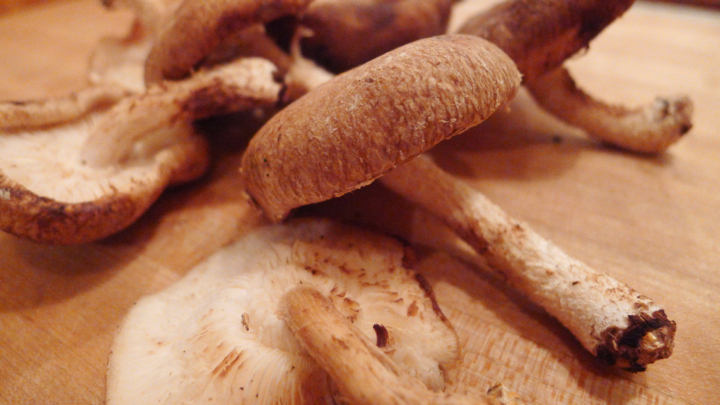 Plate some gnocchi and pour a bit of the brown butter and mushrooms over top. Add some fresh shaved Parmesan cheese and a light squeeze of fresh lemon. Enjoy!